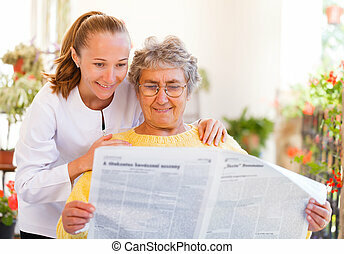 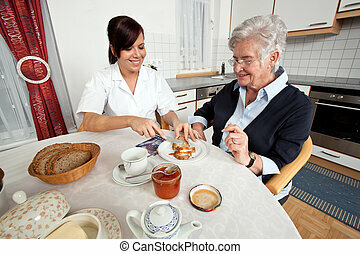 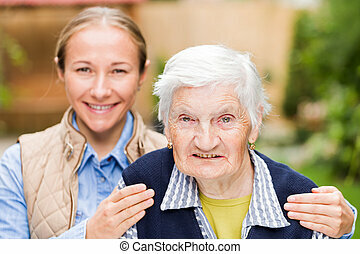 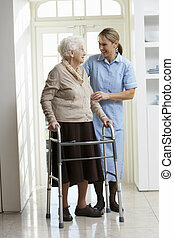 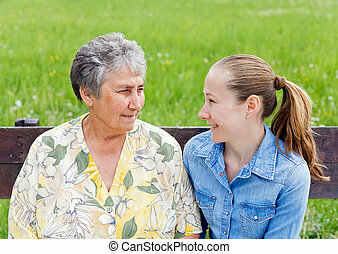 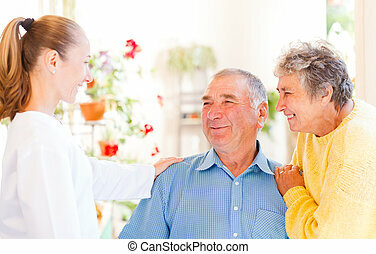 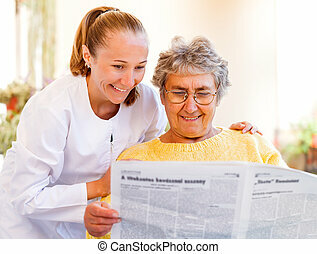 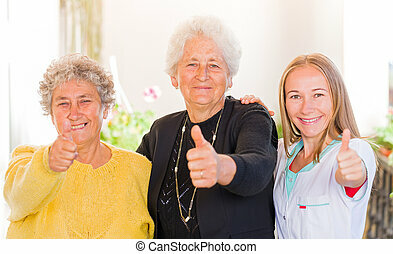 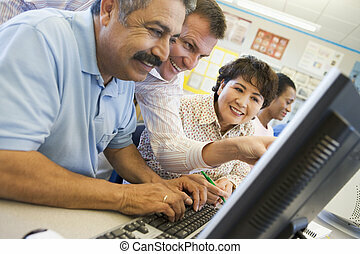 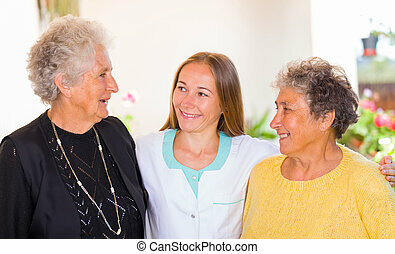 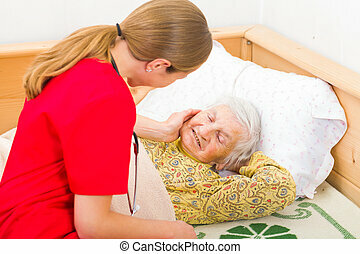 Assisting and helping elderly people. 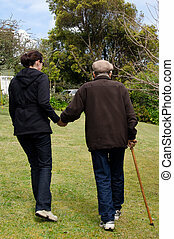 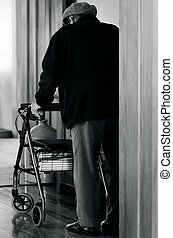 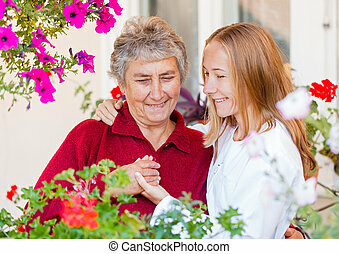 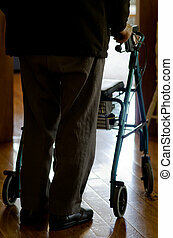 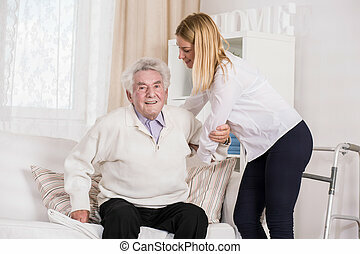 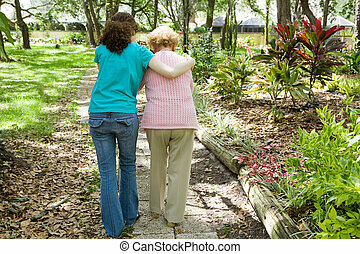 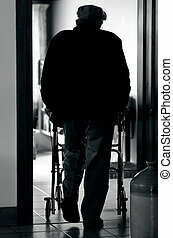 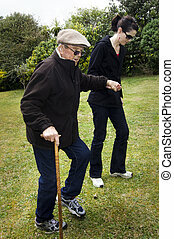 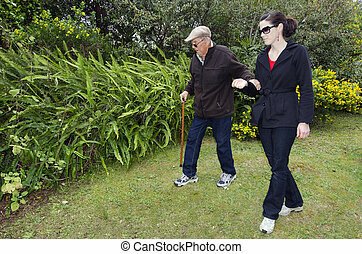 Young woman helping and supporting her grandfather to walk outdoor in the garden with his support walking stick. 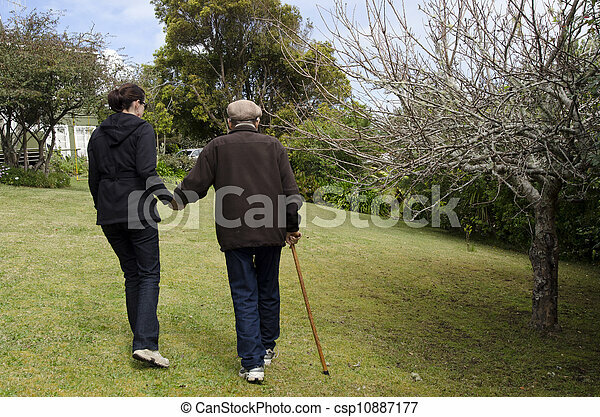 Young woman helping and supporting her grandfather to walk outdoor in the garden with his support walking stick. 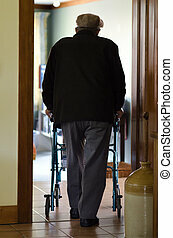 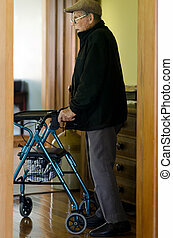 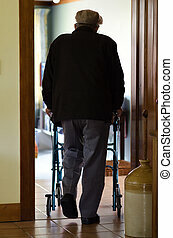 An old disabled elderly man who need additional support to maintain balance or stability while walking use a walker (walking frame) in his house.